I would love to wake up in the morning and not worry my siblings are having a health crisis. I would like our family to have the peace of mind we all deserve. I have two siblings with debilitating illnesses. One is on disability, the other should be. Neither is free from the fear they might lose everything if they get sick. My brother’s job includes insurance, yet health care costs are a constant strain. My sister wanted to run her own business, but being self-employed is rough when you pay massive amounts for insurance! People like her can’t afford to leave jobs they dislike. How many great ideas never get off the ground in our country because of these expenses? My daughter, Jessica, lives in the U.K. There, the National Health Service provides health care to everyone. Her girls are covered at no extra cost, and were born with NHS midwives: no extra fees for anything. And with a chronic condition, Jessica receives free medication for life – all of her meds are free. OECD data shows health care spending in the U.K. was under $3,800 per person in 2016. Here it was closer to $9,900. We pay nearly three times as much, and 23 million of us have no care at all! Deb Rainey shares her health care story in Keene, NH. In 2015, while visiting Jessica, I shattered my elbow. I stayed five nights and had extensive surgery at an NHS hospital. Total cost? $7,700. I battled with my insurance company to get reimbursed, but my orthopedist admired the stellar work of the U.K. surgeon. In 2016 I had a second surgery in New Hampshire to remove scar tissue. Surgery plus one night in hospital came to $38,500, plus $4,000 in out-of-pocket costs. That’s almost 28 times more than my stay in the UK hospital! In the United States, unless you are rich, you always have this nagging fear: a health emergency will leave you bankrupt, homeless, or worse. It happens every day, and is one of our biggest failures as a society. Countries like the U.K. spend 9 to 11 percent of GDP to offer healthcare to everyone. We spend twice as much, yet our health outcomes are worse! I’m approaching retirement, and I worry about affording insurance. A friend of mine recently retired: Her family’s annual premiums are about $22,000 – eating up her pension! Healthcare costs for a U.K. retiree? Zero. That’s why I’m proud to join the millions who say it’s time for universal health care in the United States. Two New Hampshire groups, Rights and Democracy and the Monadnock Progressive Alliance, join People’s Action, National Nurses United and other allies to support the Expanded and Improved Medicare for All Act of 2019 that Washington State Representative Pramila Jayapal will soon present to Congress. Across the country, we’ve organized over 150 actions, and will go door to door in coming weeks to tell our neighbors why this matters. A recent study by the University of Massachusetts shows we will pay less, and get more with Medicare for All: Middle class families will save a whopping 14 percent of their income! Medicare for All is a humane and fair way to take care of our population. It’s amazing we can offer comprehensive, accessible and equitable care, and save money in the process. Even better is the peace of mind that will come from knowing that our healthcare system is there for all of us. The time for universal health care is now. Let’s make it happen! 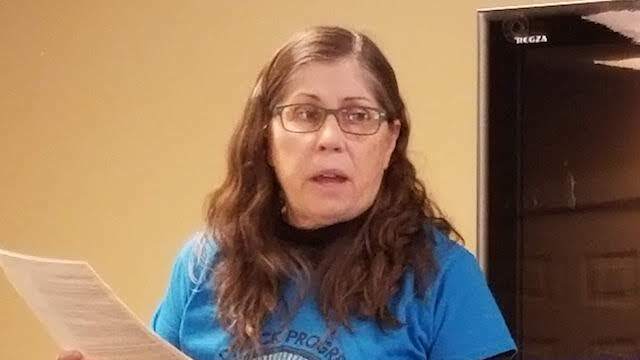 Deborah Rainey is a music teacher and member of the Monadnock Progressive Alliance and Rights and Democracy New Hampshire, part of the People's Action network of grassroots community groups.